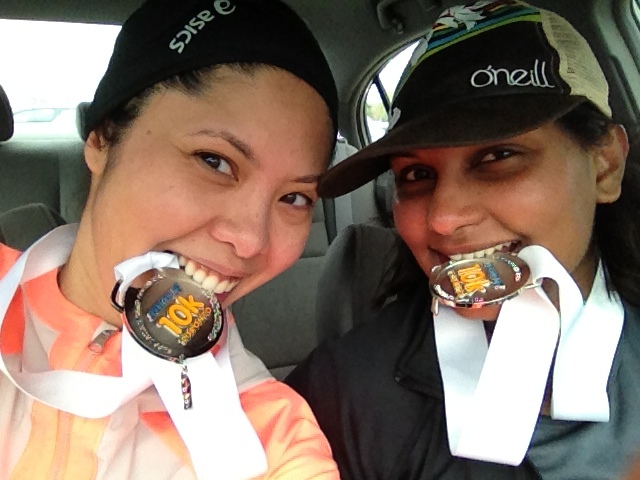 V and I showing our medals off! My racing year got off to a good start with the Sporting Life 10k. 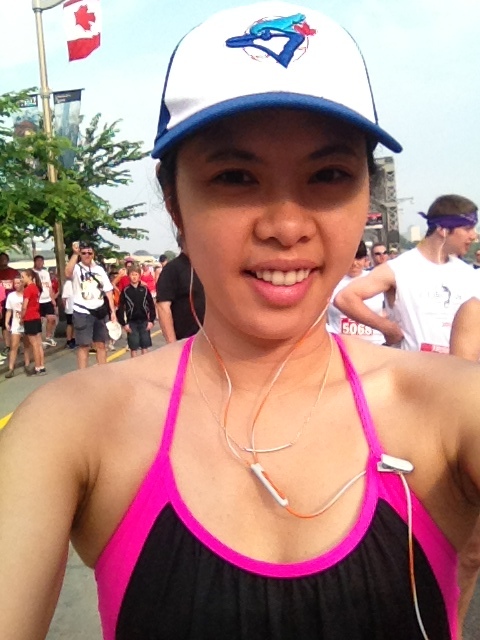 It’s a 10 km that is mostly down hill starting just north of Yonge and Eglington and finishing in the Fort York area. A lot of fun and just a great vibe the whole way through! I mentioned this race briefly in my Canada Day post. I can’t say enough about how much fun this race was. I’ll be sure to do it again next year! Ottawa get ready for me! 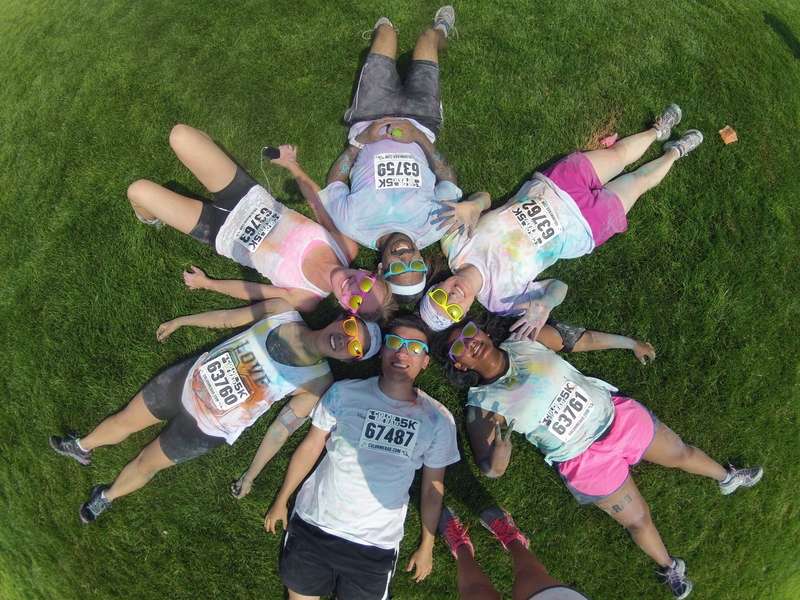 Team Brunchosaurus at the Color Me Rad 5K in Downsview Park! 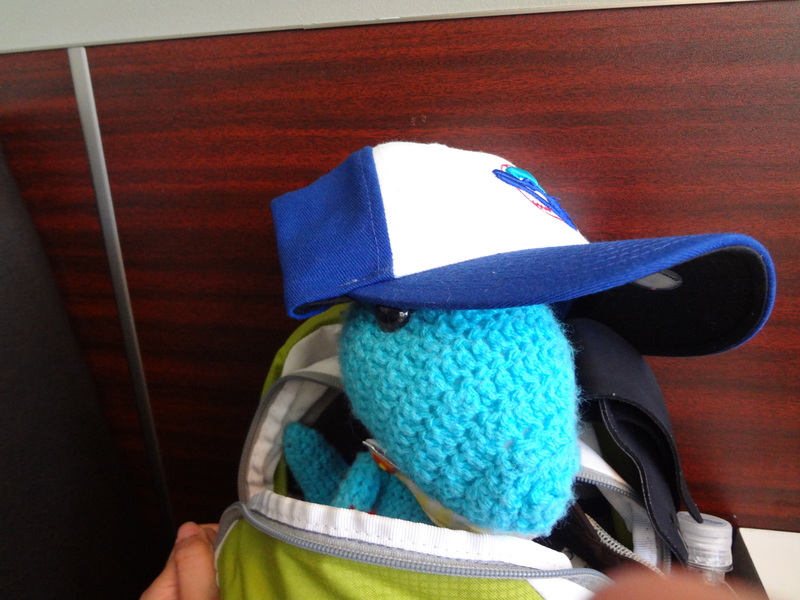 After our efforts, the best of the best Squiggy suggested we grab a bite to eat at the nearby Downsview Market. 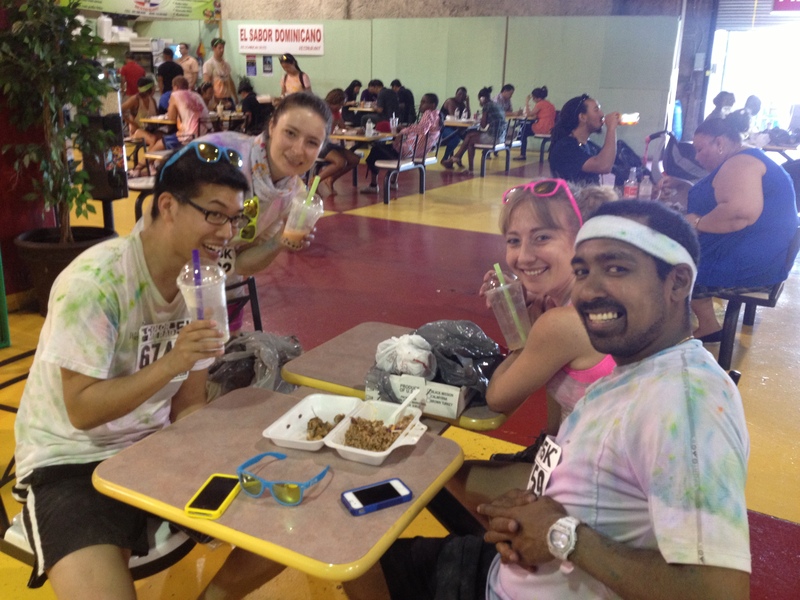 They have a great International cafeteria with lots of options including Caribbean, Filipino, Italian, Lebanese and amazing smoothies from the Juicy Hut! Not a bad after race meal! Food Court food hits the spot! Best of all? The great selection at the Downsview Market’s Farmers Market. The peaches were just right, the cantaloupe was ripe and sweet and we found some amazing mennonite smoked sausage with pepper corn. 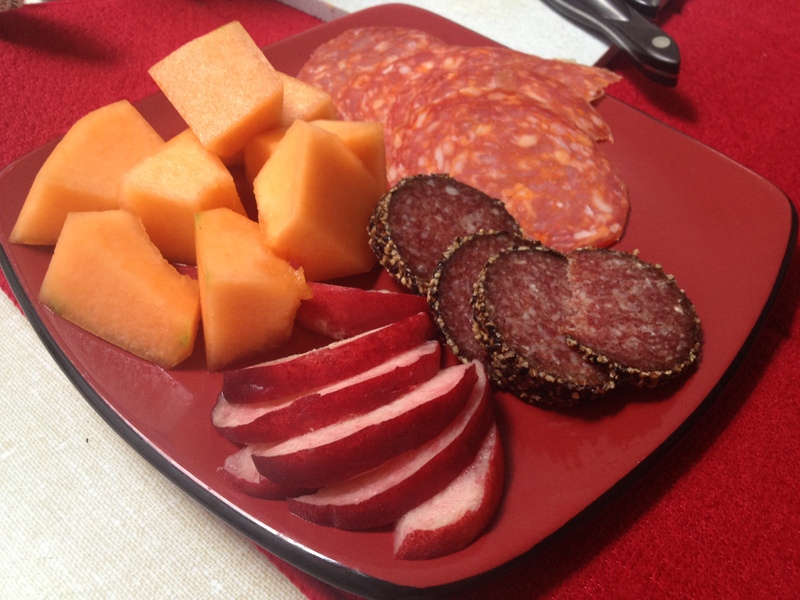 Marketed Meal – Ripe sweet cantaloupe, white peaches, mennonite sausage. Delish! So 25 km of 50 km complete! What’s next? At the end of the month I’ll be participating in Run For Your Lives and Tough Mudder! Yes, I am crazy. Wish me luck on my races and Happy Brunching! !